Nice quality and well made. Love the colors. Set looks great on my log bed. This is my second VHC set and I am happy with both. If you like farmhouse decor or primitive or even cabin, this is perfect! This sham is very good quality. I love the button closures on the back and the material is quite thick. My only complaint is that you have to buy each separately, I wish you could just buy a set of two. I would definitely recommend. It's very nice. The Lux King is very big. 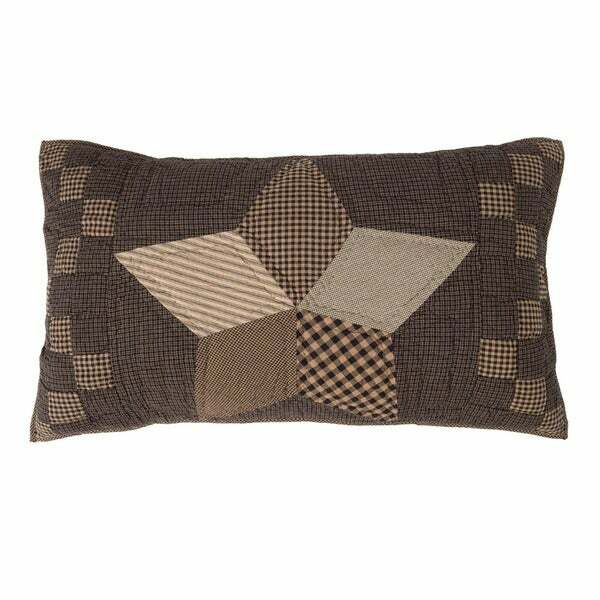 The farmhouse star is a great addition to the guilt, and adds quality & style to any home or apartment or even a weekend getaway vacation bungalo. This king size set of shams are exactly as described and the quality of the product will not disappoint. Recommend getting the complete look. Price point is better than expected.